Super Hero Boy: First Circus Memories! I remember my first trip to Ringling Bros & Barnum and Bailey like it was yesterday. I was so excited as it was the early 80s and Lancelot the "unicorn" was their main attraction, King Tusk (the huge elephant with the amazing tusks) was still around, and Gunther was the amazingly crazy big cat trainer. It was an exciting time in Barnum and Bailey history and an exciting show. I remember looking at the poster which I kept under my bed for years after seeing the show. With all the great acts at the circus when I went that first time the one that really still stands out to me is the motorcycle riders in the sphere cage. Watching those riders go upside down on regular motorcycles seemed almost magical. Actually everything about the show seemed magical. It was just one of those great moments in my childhood, a purely happy moment with my parents and everything seemed just right. I hope Connor feels the same way about the circus when he gets older. Seeing the circus fliers around town when the Ringling Bros & Barnum and Bailey is coming to town again the same excitement starts all over again and I am already excited about taking Connor to see his first show next year. I had debating taking him this year but seeing as he was just barely a year old when they came through town here. I just didn't think he could handle the whole show though in many ways I regret not going we had some friends that made it with their three girls and had nothing but great things to say. The discount is valid on tickets priced at $13, $19, and $24.00 just use code MCC when ordering tickets on the Ringling Bros & Barnum and Bailey website! If you get to go leave me a comment and tell me how it was! Thanks Mom Central for letting us know about the coupon code and sharing the news about Ringling Bros & Barnum and Bailey!! 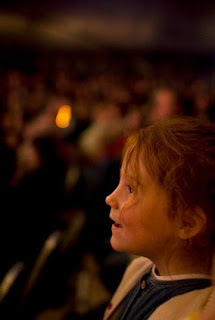 I have a special Ringling Bros & Barnum and Bailey surprise for one of my readers! Leave a comment on this post. Check out the Ringling Bros & Barnum and Bailey and tell me which of the three current touring shows would you most like to see!! Boom a ring looks good but they all look awesome. I LOVE the circus! The last time I saw Ringling Brothers was when I was 13, and I still count it as one of my best days. My husband and I had a circus-themed wedding reception, complete with a Ringling Brothers and Barnum & Bailey poster I got on that day, and now that we have four children, I'd love for them to experience The Greatest Show on Earth. I think the Boom A Ring Gold tour is enticing, especially the one in Binghamton, NY. I've also subscribed to your RSS feed. Thanks for a great post! It brought back wonderful memories. never been to the circus, would be happy to see any show some day. Bellobration looks like a fun one. This contest is great. I have not been to the circus in years...would love to win this! Over the Top for us! Thank you for having this! I think my family would like Over The Top the best of the 3. I hope that it comes to a town near me soon so we can see it. Thank you! over the top blue tour! We already saw them this year at Madison Square Garden. Would love to see the Boom a Ring-Gold Tour in Bethlehem PA. Thanx for the contest. I would like to see boom a ring. I can think back to the 80's when i saw it as a kid too. It was really great as the previous poster said about gunther the lion trainer. Bellobration looks really cool. My little guy calls all 2 wheel vehicles motorcycles (short vowel sound pronunciation) - it's hilarious. I think we'd most like the Boomaring. Bellobration Red Tour looks terrific! Over the Top sounds great! Bellobration! My daughter has had a crush on Bello since we went 5 years ago. Over the top looks fun. We'd love to see Over the Top! I think I would like Boom a Ring the best. We went to boom a ring today in Glens falls! It was fun. I think that boom a ring would be fun. Over the Top looks like a lot of fun! Bellobration looks fantastic so that's my choice. Bellobration would be my pick. If I had to choose just one I would go with Bellobration but would love to see them all. Thank you! !